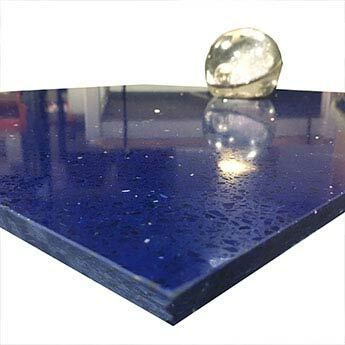 This blue quartz wall and floor option has a sparkly look provided by reflective mirror flecks. 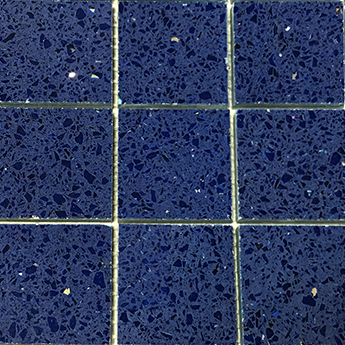 Sapphire Blue Quartz is a popular choice for bathroom designs, in which they are often combined with white features. 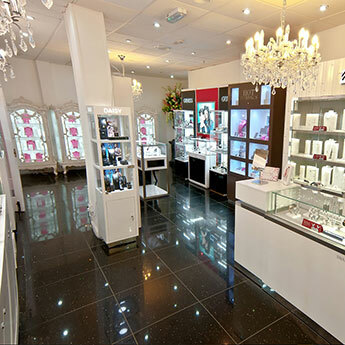 The polished finish emphasises the bright colour and glistening appearance to stunning effect. 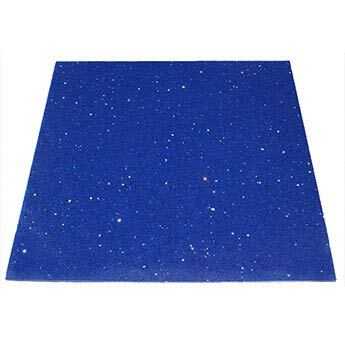 You can use them on either a wall or a floor. 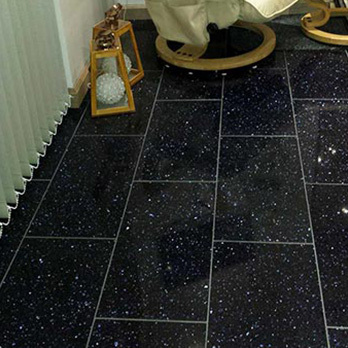 When chosen as flooring, many people opt to install spotlights on their skirting boards in order to accentuate the look of this covering. 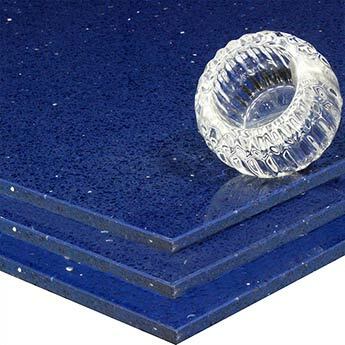 A unique 97% quartz content makes this tile a highly durable wall and floor covering. 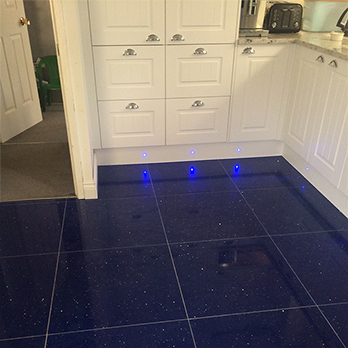 If you are looking to incorporate a vibrant style within your home, our blue quartz tiles are a perfect choice. 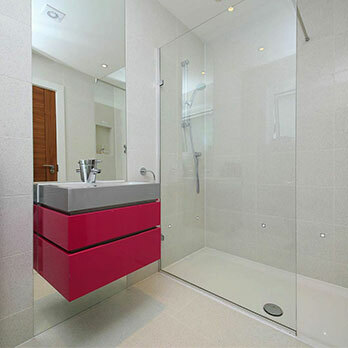 These tiles provide interiors with a standout quality which really brightens the appearance of walls and floors. 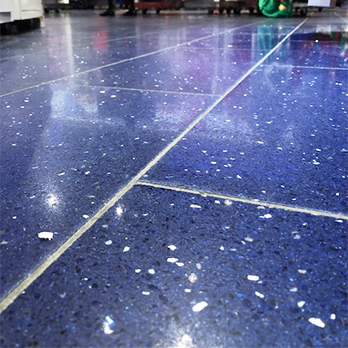 The distinctive combination of a dynamic blue colour and the sparkle and glisten of mirror pieces makes these tiles an outstanding option for contemporary layouts. 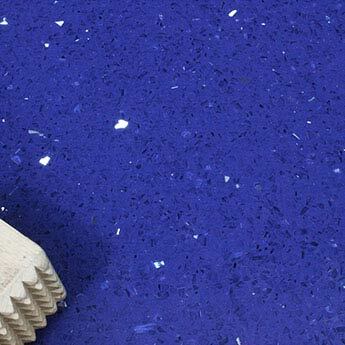 Blue Quartz from the Crystalstone range at Tilesporcelain are not just notable for a standout look but are also renowned for a range of practical qualities. 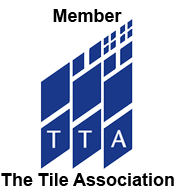 The low moisture absorption rate means they require little maintenance even when used as a shower surround or kitchen backsplash. 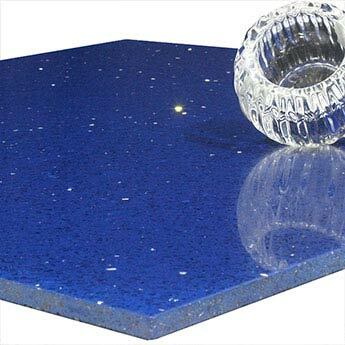 With its sleek and smooth surface this blue quartz proves easy to clean. 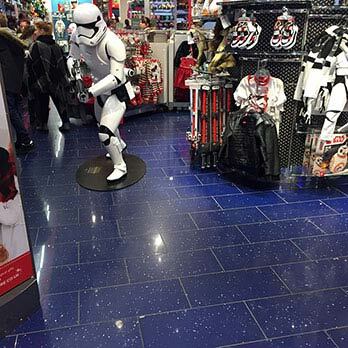 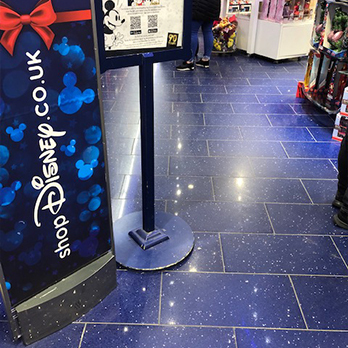 Quartz is regularly acquired for commercial projects including shop, bar and restaurant refits, with its durability making its suitable for high traffic areas. 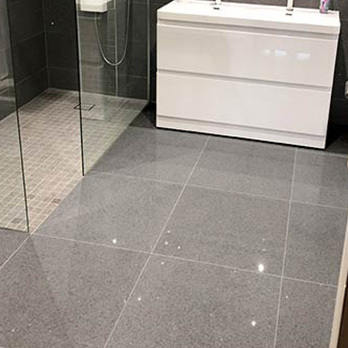 Quartz is resin based and any use with underfloor heating, in conservatories, in outdoor areas or as part of high thermal environments, including near patio doors is entirely at your own risk. 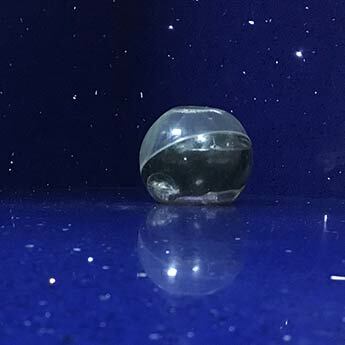 It is also advised that you should avoid using a latex adhesive with quartz.